Adventure Games for Summer Camps! At Upshot, we're known for making high quality, very safe games that bring a sense of adventure to summer camps across the country. 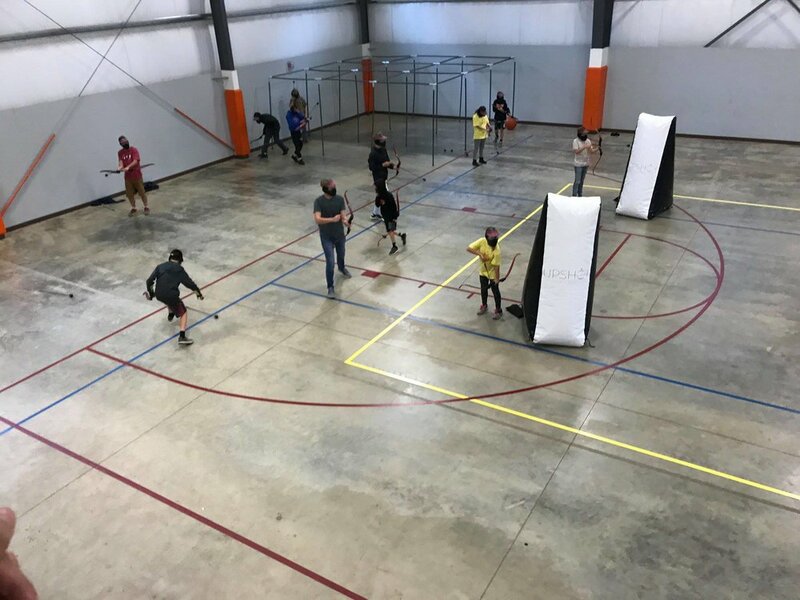 Our flagship activity, known as Arrow Tag is a mixture of archery and dodgeball as you can see in the video to the right. The game is simple: you play tag with bows and foam tipped arrows while running around large inflatables. Students and adults of all ages love the competitive nature and endless hours of fun that it provides. As with all of our games our focus is on safety, reliability, and fun. When you purchase an Arrow Tag kit from us you can rest assured knowing that our equipment is just that: safe. Our foam tipped arrows have over a dozen years of safety testing, are all one piece construction, and held to the highest manufacturing standards. The second game that we've introduced is called Maceball! 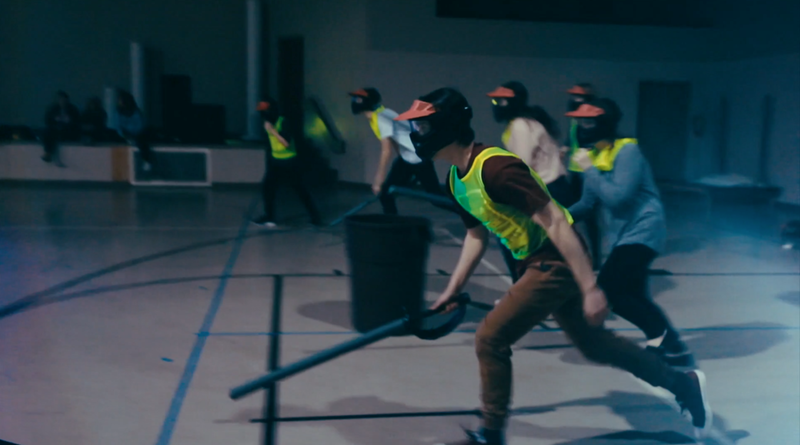 This new exciting activity is a swashbuckling game of capture the flag played with foam swords. Up to 22 players rotate through a fast, action-packed game that is competitive and simple. We can create packages and kits for any size budget and specialize in helping Summer Camps! Contact us today to bring more adventure to your camp!